Project: Remodel an awkward space, add light, and install a custom kitchen. Homeowners: Emma Hamilton and her husband, who live here with son Arthur, three, and Yorkie Lily. 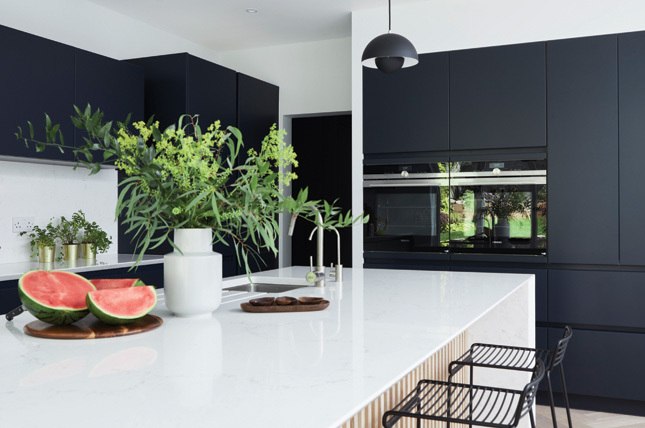 What they did: Emma did a complete revamp of a tired and dated ‘90s kitchen, including structural work and removal of two conservatories. 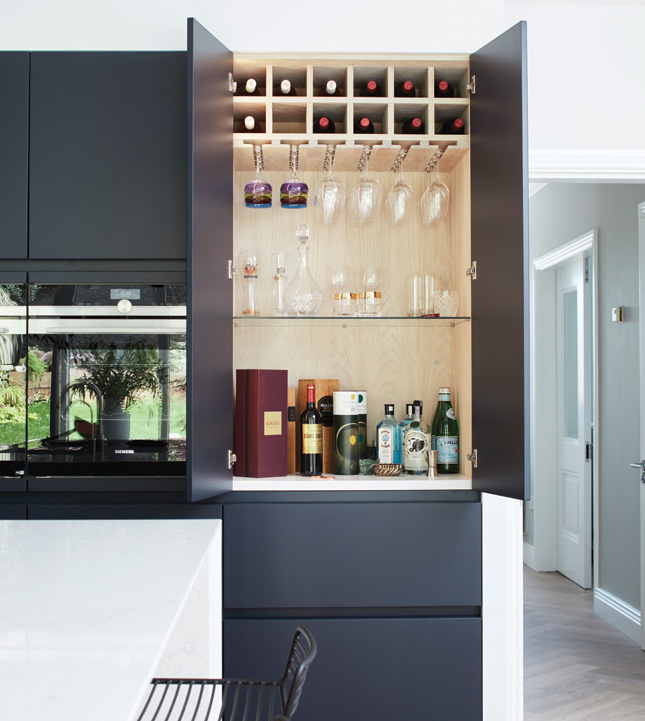 She added a wall of windows and installed a brand new, bespoke kitchen for a result that’s contemporary and light-filled. Stuck in a 1990’s time warp, Emma Hamilton’s South Dublin home needed TLC – and fast. “It had been rented for a couple of years, there were yellow walls everywhere and everything needed replacing – the kitchen, bathrooms, windows, doors, floors – everything,” she recalls. Property manager Emma and her husband moved in with son Arthur and dog Lily in November 2017 and set straight to work. “We came up with a wish-list of everything we ever wanted – the Lotto list. 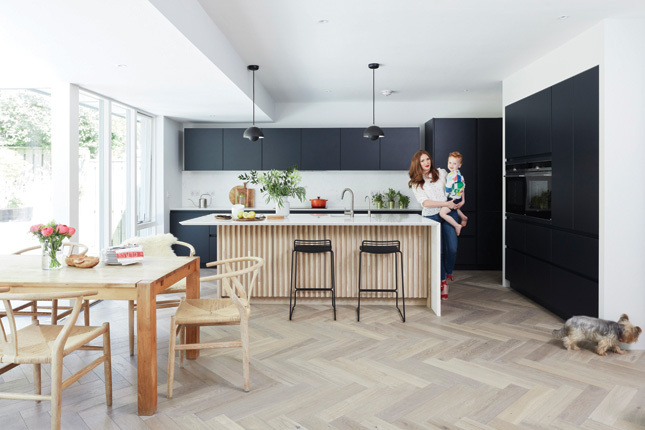 The priority for us was to have a really good kitchen space because we like to cook, to be there with family – we’ve a large extended family and we like to have them over,” Emma says. The couple lived in the house as work began – “the builders partitioned off the kitchen so we just had a hotplate which we used to make one pot dinners” – which meant they saw first-hand the changes taking place. “We didn’t extend, but we had to do some work on the back of the house,” Emma explains. 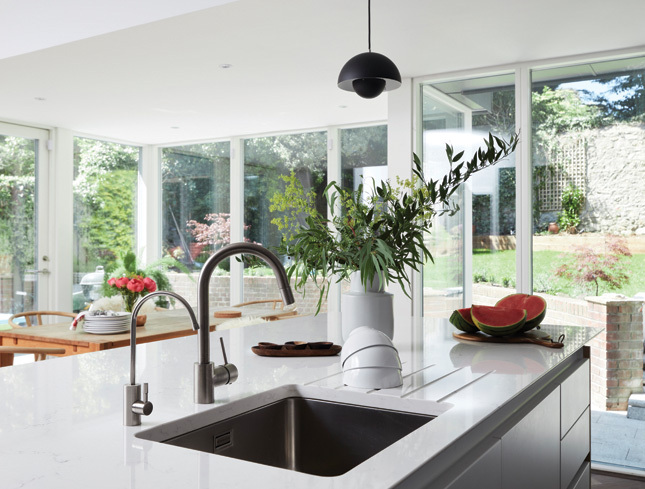 “There were small windows which we wanted to open up, to make use of the garden.” Previous owners had added not one, but two conservatories, so they were taken down, as was a structural pole in the middle of the kitchen. 10m of steel was added instead. “It was an expense, but when we’re in the space now, we’re so glad we did it,” she says. Is there anything she’d do differently now she’s lived in the space for a while? “Lots of things,” she laughs. “I’d add more plug sockets and I’d make the light switch into the pantry a sensor, but these are minor things,” she reasons.